The year 2019 is expected to be a game changer for Yamaha Motorcycles India, and the imminent launch of the new MT-15 is a step in that direction. 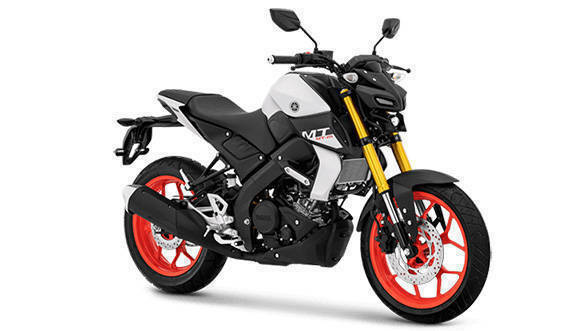 This follows the recent launch of the 2019 Yamaha FZ-S V3 and FZ25. Dealerships across India have started accepting bookings for the upcoming MT-15 which is to be launched on March 15, 2019. 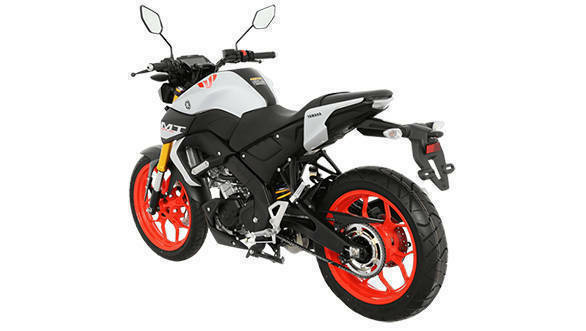 The prices are yet to be announced, however, customers can book the MT-15 for a token amount of Rs 5,000. Yamaha MT-15 stays true to the family design and has an aggressive styling character. It, essentially, is a YZF-R15 V3, minus the fairing. The rider's triangle is also upright, in contrast to the committed, race bike position of the R15. The MT-15's headlamp is designed in a three-part layout, with the LED position lights flanking the centrally mounted, single projector beam headlamp. The bike has a chiselled fuel tank and in keeping with the design language of the naked motorcycle segment, it has minimum body panels. Internationally, the bike is painted in a two-tone colour scheme, with a matte finished fuel tank and gloss painted alloy wheels. We expect the bike to be dressed in the same colour schemes as the international market. Powering the 2019, MT-15 is the same 155cc motor, seen on the YZF-R15 V3, which produces 19.3PS of power and 14.7Nm of torque. The bike will also borrow the cycle parts from the YZF-R15 V3 such as the conventional telescopic fork, and a 282mm disc brake up front, however, the rear will have a box-type swingarm unlike the aluminum swingarm seen on the YZF-R15 V3. The bike will be equipped with a dual-channel ABS system as well. Internationally, the Yamaha MT-15 is offered with accessories to lift the aesthetics as well as the performance. 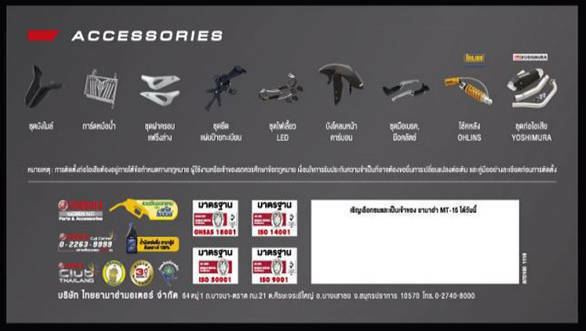 That said, a similar accessory kit is expected to be offered which includes, a tail-tidy licence plate holder, aftermarket brake levels, a restyled front fender, gas-filled Ohlins shock absorber, and a Yoshimura full-system exhaust. Yamaha India in the past has offered their motorcycles with high-performance parts, and considering the history, it's very likely that the bike will be introduced with the same. We expect the Yamaha MT-15 to be priced at Rs 1.25 lakh ex-showroom pan India. When launched, the bike will rival the KTM 125 Duke, TVS Apache RTR 200 4V, and the Bajaj NS200.